Made by a single producer, in just one cellar in Switzerland’s southernmost valley, and aged under the cooling breath of Monte Generoso—mature Zincarlin is little known outside the Ticino region of Mendrisiotto. 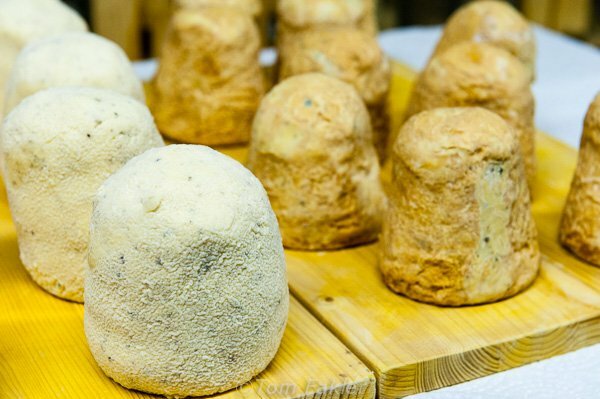 People here are eager to share Zincarlin della Valle di Muggio with their guests, and generally watch, for a reaction to the first taste of this most local of cheeses. It was an immediate hit with me, both as a cultural artifact and as a taste sensation. 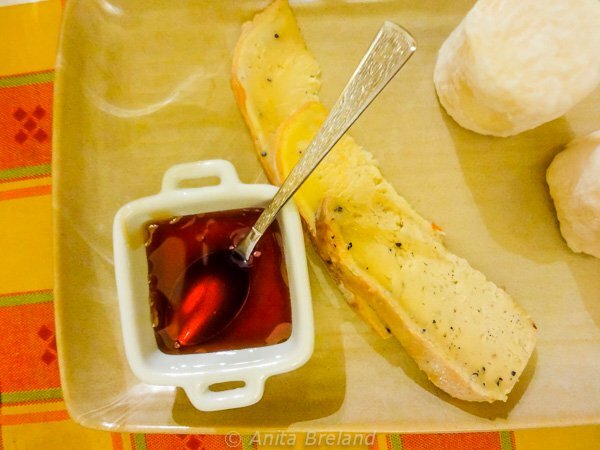 When I had an opportunity to meet the woman who makes the cheese, and visit her production and storage cantina in tiny Solarino, I jumped at the chance. The mature Zincarlin produced in the Muggio Valley is complex in favor, with a long taste that transforms in the eating. Its rind is soft, a mottled yellow-gold, and the paste soft and creamy, dotted with black pepper. The taste experience starts with an aroma something akin to Munster: bold, pungent, intense and “pasturey”. The first bite through rind carries the pepper. As the cheese melts in the mouth, it feels a bit sticky, and the flavor becomes milky, with just a hint of butter that lingers. A local tradition in every way, you know you’ve eaten like a Mendrisiotto local if you have drizzled a slice of mature Zincarlin with chestnut honey from Ticino, sampled it with fresh pears in autumn, or stirred a little block of the cheese into a steaming zucchini risotto. A decade ago, production of aged Zincarlin had ground to a near halt, a victim of economic hard times for the valley’s farmers and faltering infrastructure for producers. Today, artisanal producer Marialuce Valuntini is carrying on the methods established by her mother, and codified through the concerted effort of several groups and the advocacy of the Slow Food movement. Named Switzerland’s first Slow Food Presidium in 2004, Zincarlin della Valle di Muggia was assigned to the hamlet of Salorino as place of origin. 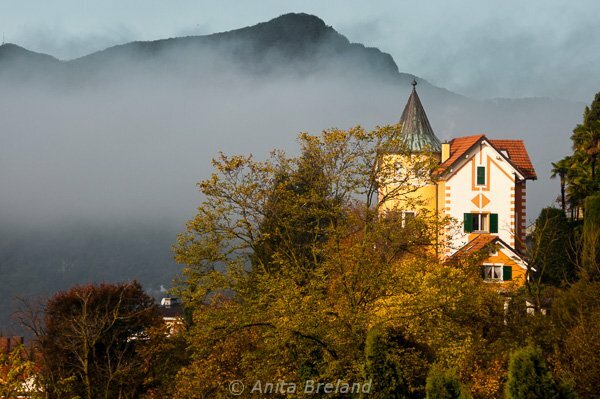 A Zincarlin heritage spans the Swiss-Italian border. However, the Swiss version is a cheese entirely different to the Cingherlin made in Lombardy. The Italian version, also called Zincarlin , is a fresh, very mild cheese made of goat and cow’s milk, and with cooked curds. It can be substituted with very mild Brie. You’d never want to do that with the matured Muggio version! Zincarlin from Muggio is made from raw cow milk (goat milk is sometimes added), its curds kneaded into a paste without cooking, but with the addition of salt and a (liberal) lashing of coarsely ground black pepper. 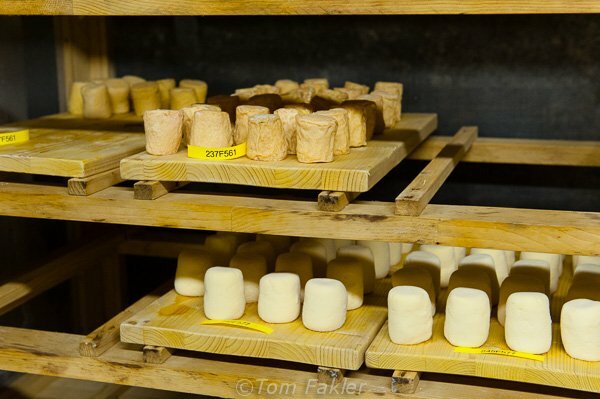 Formed by hand into 400-gram bell-shaped blocks, the cheese is stored in the Salorino cellar on wooden boards at a constant temperature of 12 degrees centigrade. Almost every day for two months, each cheese is bathed in white wine to keep its rind soft, and returned to storage on a clean board. With aging and natural evaporation in the cellar, the size of the cheese is reduced and the edible rind wrinkles and takes on a reddish hue. 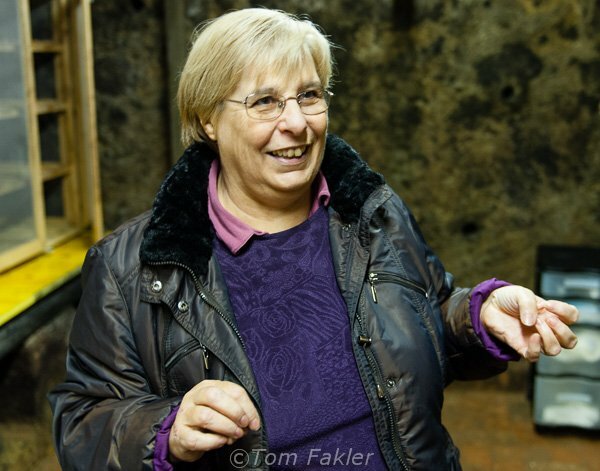 Marialuce makes very small batches of Zincarlin della Valle di Maggio for longer aging, and decidedly local consumption. Muggio Zincarlin is aged in a cellar in Salorino, overlooking a valley shrouded in fog on an autumn morning. Semi-underground cellars here are built into the side of Mount Generoso, and provide the ideal climate for storing wines, cured meats and cheeses. At the end of two months, the cheese is packaged for limited sale in a shop in Mendrisio and at Coop outlets in Canton Ticino. The cheese can also be special-ordered for shipment across Switzerland. I’ve found a new cheese to love. Want to know more? 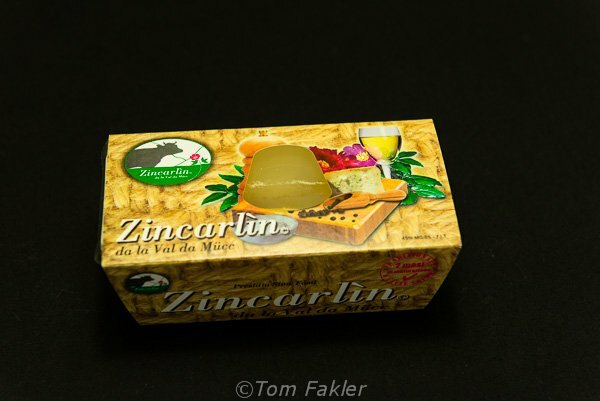 Listen to what Food Scout Amy Eber had to say about Zincarlin on WRS Radio (5:46). My stay in the Valle di Muggio was sponsored by Mendrisiotto Tourism, who introduced me to Zincarlin della Valle di Muggio, and to Marialuce Valtulini. The taste buds that quickly succumbed to the pleasures of this fabulous cheese are all mine. Thanks for including me in your tweet so I could see this post. Wondeful! Gorgeous photographs. 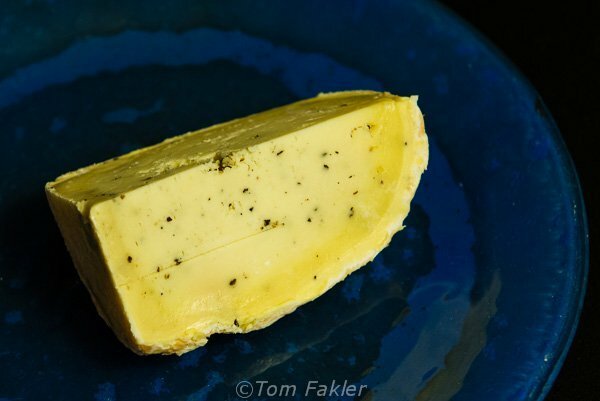 Here is a link to a show I did on World Radio Switzerland on this amazing cheese. I have such admiration for the group of dedicated people who are keeping this tradition alive.